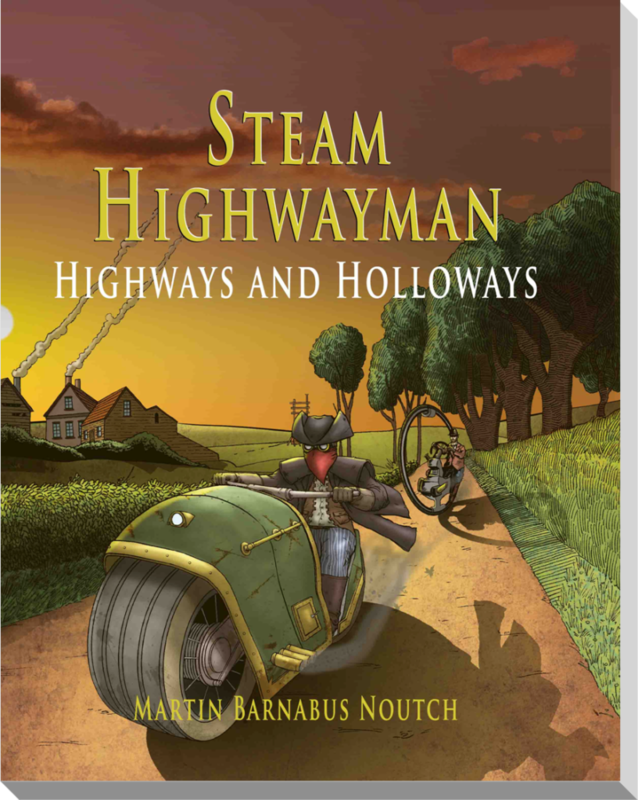 Highways and Holloways continues the adventure begun in Smog and Ambuscade, travelling further west to the high Chilterns north of Henley-on-Thames, giving the reader chance to rob, pardon, pursue and punish even more widely. Encounters with ghosts, impersonations, cracking of codes, rides in airships, duels in the sky, on the water, on the road, in theatres and on the croquet lawn… Bishops, officers, gentlewomen and students to rob, criminals to free from prison, protestors to succour, labour gangs to mobilise for the revolution, secrets to find and morris dancers to sober… All in one massive volume, 1500 passages long! 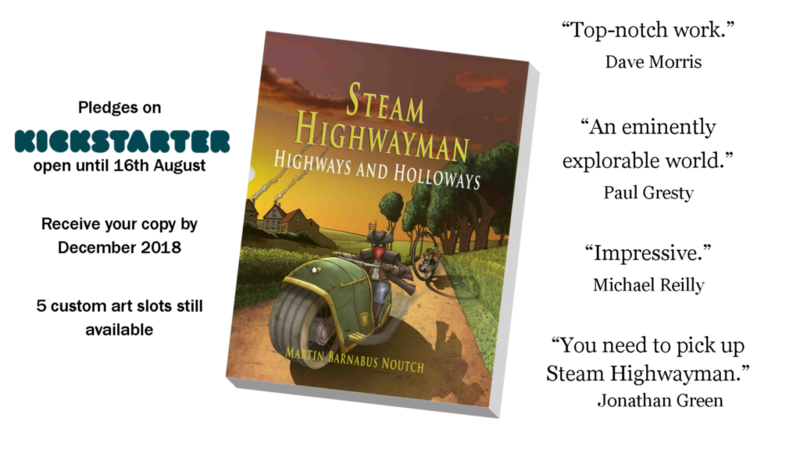 Steam Highwayman II: Highways and Holloways was crowdfunded on Kickstarter between June-August 2018. 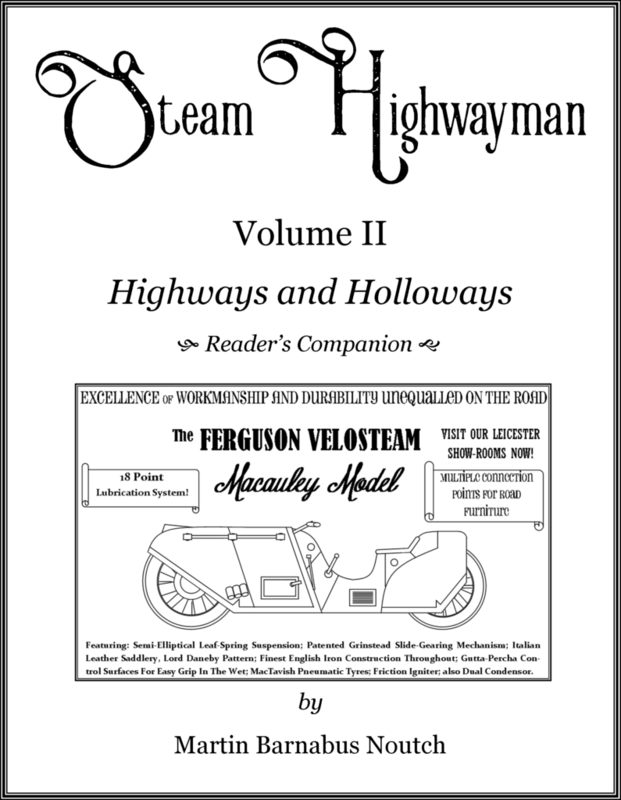 If you’d like to see the details or read the updates, you can head over there now. 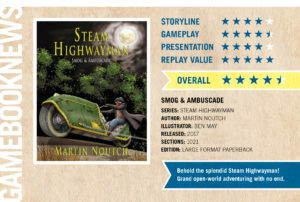 A full player companion for Highways and Holloways is now available for free download: tick your boxes, stash your loot and spill your beer (22 individual tastes available…) without ever marking or damaging your precious copy of the book.